These websites are having many useful electronic circuits and design references. These were some of the early ones. Electronics Circuits was started in late nineties in the netscape homepages. 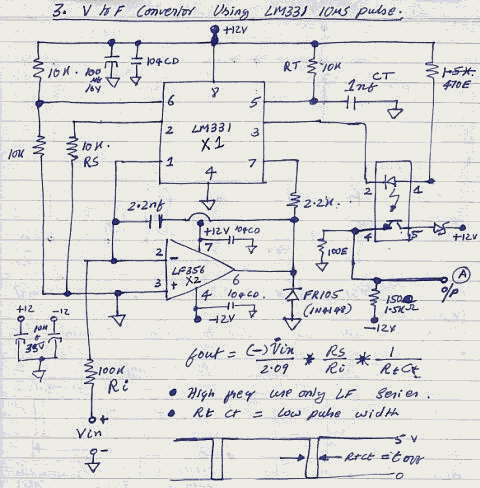 A circuit from delabs design notebook of 80s and 90s. You will find more such designs with design notes at Schematics of delabs. Bill Bowden - Bowden's Hobby Circuits. Electronic Online Calculators, LED Circuits, Analog / RF. Electronics Lab - Mike's hobbyist corner. Diagrams and PCB, Electronics Articles. eCommunity. Electronics Hobbyist - Bill's Science Site. Van de Graaff, Electrostatics, Tesla Coil page. RadioLocman - Technical Manuals. Schematics and Electronic Project Designs for Repair. Williamson-Labs - Glen's Engineering. Shielding, EMI-EMC, Ergonomics, Optics, Oscilloscopes. Lasers, Transmission Lines, Modulation. Resistors, Inductors and Capacitors, OpAmps. 4QD-TEC - Many Discrete Semiconductor Designs. Generic Circuit Blocks, Circuits Concepts. RepairFAQ-Sam - Repair and service tips, how-to and schematics, home electronics. Tuxgraphic AVR Microcontroller Projects - working embedded projects with designs. Csaba's Ham Radio - YO5OFH, Csaba Gajdos, Digital Projects. RFI. PIC Microcontroller. QRP DL2YE0 - Udo from Spenge. 250 W SMPS with power FETs. Front Panel Design. Freebyte Electronics - Listing of Free Electronics Circuits and project resources in the web. HobbyElectronics.info - Circuits, Hobby and Tutorial Content form Netherlands. Harry's Homebrew - RF projects, Wireless Radio Circuits from Harry Lythall SM0VPO Sweden. Rason Projects Page - RF and Power Meters, Audio Amplifiers, Crystal Calibrator and more. Projects of Ronald - Simple Oscilloscope, Nixie Tube Projects, Clocks, Valve Tube circuit Ideas. Circuit Exchange International - Circuits to learn. design and build Gadgets, Simulate Circuits. Talking Electronics - Educational e-magazine, aimed at teaching electronics from the beginning with courses. The Electric Web Matrix - DIY Resource Site for Musicians and Audiophiles! Music from Vacuum tubes to Computers.